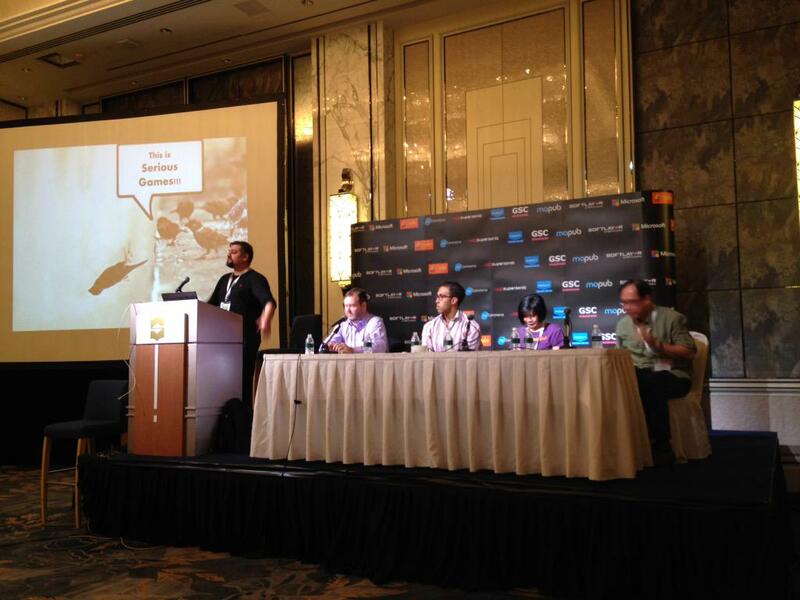 Last month, Sid and our friends from the Serious Games industry in Singapore were invited to a panel at the Casual Connect Asia 2015 conference. The topic of the panel was “Games Get Serious; The Opportunities, Developments And Challenges in the Emerging Serious Games Sector” moderated by our very own Sid Jain. Other participants in the panel included Karen Yeo who is the Product Lead at PlayMoolah, Jeremiah Alexander who is the founder of Ideonic, Lee Seng Beo the Director of Immersive Play and Brenton Burchmore the CEO of Conperior. The panel touched on the various types of sub-divisions in serious games i.e. Simulations, advergames, game based learning and gamification, etc. They discussed how games have become the proverbial new-kids-on-the-block when compared to the incumbent technologies and methodologies prevalent in these sectors. The discussion included insights on the kinds of skills needed to survive in this sector and that are unique to this market (different from how game developers and publishers usually do business such as ‘learning how to work with and educate stakeholders on the design process’). Finally the panel ended on a positive note with a closing discussion on changing customer mind-sets and the potential for market growth for 2015 and beyond.